CHRISTIAN people in general believe that Jesus was crucified and died on a Friday and that He was resurrected from the dead on the third day, namely, on Sunday morning—the first day of the week. We believe that this view is correct, according to the Scriptures. However, some have labored and are laboring long and hard and have circulated and are circulating much literature, in an effort to prove that Jesus was crucified on a Wednesday and was raised from the dead near sunset three days later, late Saturday afternoon. They base this conclusion largely on Usher's chronology and certain dates given by Josephus (whose dates in many cases have been proven to be inaccurate and unreliable) and on certain misunderstandings and misapplications of Scripture. This matter is one of general interest to all Christians, regardless of denominational affiliation, and should be studied carefully by all. Scholars generally concede that our commonly accepted A.D. is incorrect. Many hold that our Lord was born about four years previous to the point of time designated A.D., i.e., in the year B.C. 4; and this theory has been followed by publishers of the King James Version Bible who give dates in the margin. The general reason with most of those who claim that A.D. should have been placed four years earlier correctly to mark the time of Jesus' birth, is a desire to harmonize it with certain statements of the Jewish historian Josephus, relative to the length of the reign of Herod the Great. According to one of his statements, it would appear that Herod died three years before the point of time designated A.D. If this were true, it would lend weight to the thought that Jesus was born in the year B.C. 4; for it was this Herod, who issued the decree for the slaying of the babes of Bethlehem, from whom the infant Jesus was delivered (Matt. 2:14-16). But is this statement of Josephus reliable? No. Josephus alone is not sufficient authority for such a decision, as he is known and admitted to be inaccurate in his record of dates. Herod had placed a large golden eagle over the gate of the Temple. Two notable Jews, named Matthias and Judas, persuaded some young men to pull it down. They did so, and were arrested and executed. To make the matter clear, Josephus relates that there was at that time another Matthias, a high-priest, who was not concerned in the sedition. He then adds: "But Herod deprived this Matthias of his high-priesthood, and burnt the other Matthias who had raised the sedition, with his companions, alive, and that very night there was an eclipse of the moon." This is recorded as one of the last prominent acts of Herod, and is given a date which might correspond with B.C. 4 by Josephus, who marks the date by the eclipse mentioned. Since at times as many as four eclipses of the moon occur in one year, evidently except under very peculiar circumstances the record of such an occurrence proves nothing. Where the time of the night, the time of the year and the amount of obscuration are all given, as has been done in several instances, the record is of great value in fixing dates; but in the case under consideration, there is nothing of the kind; hence nothing is proved by the record, so far as chronology is concerned. Josephus does mention a fast as having been kept before the event, but what fast, or how long before, is not stated. As it happens, there was only one eclipse of the moon in B.C. 4, while in B.C. 1 there were three. The eclipse of B.C. 4 was only partial, six digits, or only one-half of the moon being obscured, while all three in B.C. 1 were total eclipses, and of course for a longer time, causing the event to be much more noticeable. Hence if the eclipse theory has any weight it certainly is not in favor of the earlier date, B.C. 4. Unfortunately, the time of Herod's death is not given by a reliable historian. Josephus gives some important periods in his history and the dates of some events, but these dates are not trustworthy. Some of them would teach that Herod died B.C. 4, but others cannot be reconciled with that date. For instance, his death is said to have been at the age of 70. He was made governor of Galilee B.C. 47, at which time Josephus says he was 25 years of age (Antiquities 14:9: 2). This would date his birth at B.C. 72 (47 plus 25). His death at 70 would then be in B.C. 2, instead of B.C. 4. Appleton's Cyclopaedia, under Chronology, says: "Josephus also gives dates, but he is altogether too careless to be taken into account." Our Lord's ministry lasted 3½ years. The 69 symbolic weeks of years (Dan. 9:24-27) reached to His baptism and anointing as Messiah, and there the last or 70th week (7 years) of Israel's favor began. He was cut off (in death) in the middle of that 70th week—3½ years after the beginning of His ministry. He was crucified, we know, at the time of the Passover, about April 1, whatever the year. The 3½ years of His ministry, which ended in April, must consequently have begun about October, whatever the year. And October of some year must have been the true month of His birth, because He delayed not to begin His ministry as soon as He was 30 years old, and could not, according to the Law (under which He was born and which He obeyed), begin it before He was 30. It started therefore, when He "began to be about thirty years of age" (Luke 3:23). John the Baptist was 6 months older than our Lord (Luke 1:26, 36), hence he was of age (30 years, according to the Law, Num. 4:3; 1 Chron. 23:3) and began to preach 6 months before Jesus became of age and began His ministry. The date of the beginning of John's ministry is clearly stated to have been "in the fifteenth year of the reign of Tiberius Caesar" (Luke 3:1). This Scripturally fixed date is also a clearly fixed date in secular history, of which there can be no reasonable doubt. Tiberius became emperor at the death of Augustus Caesar, August 19, in the year of Rome 767, which was the year A.D. 14. But those who are misled by the inaccurate statements of Josephus relative to Herod, and who place the birth of Jesus at B.C. 4, in order to harmonize with him, run across a difficulty in this clearly stated date given by Luke; and they endeavor to make it also harmonize with their B.C. 4 theory. To accomplish this end they claim that Tiberius began to "reign" some 3 or 4 years before Augustus died and before he himself was fully constituted emperor, and that his rule should be reckoned from that date. But the Greek word translated "reign" in Luke 3:1 is hegemonia, which means "chief command, rule, sovereignty" (Thayer); "a leading the way, going first, chief command" (Liddell and Scott). Therefore even though Tiberius was for a time closely associated with Emperor Augustus in his later years as his heir-apparent and colleague, it is obvious that in no true sense of the word did Tiberius have power and authority as the chief one in command, or sovereign, nor did his official term of office in that capacity, his "reign," begin, before Emperor Augustus' death in A.D. 14; and, accordingly, it is not proper to date Tiberius' reign as beginning any earlier, when Emperor Augustus was still the chief one in command, or sovereign. Meyer's Commentary (Luke, p. 292) states respecting Tiberius' reign: "It might appear doubtful whether Luke reckons … from the commencement of the co-regency, or of the sole-government. Since, however, no indication is added which would lead us away from the mode of reckoning the years of the emperors usual among the Romans, and followed even by Josephus, we must abide by the view that the fifteenth year in the passage before us is the year from the 19th August 781 to the same date 782." Since Tiberius became emperor at the time of Augustus' death, on Aug. 19, in the year of Rome 767 (A.D. 14), then the first year of his reign would be from Aug. 19, 767 to Aug. 19, 768 (Aug. 19, A.D. 14 to Aug. 19, A.D. 15); and, accordingly, the 15th year of his reign, in which Luke states (Lk. 3:1-3) John began his ministry, would be 14 years later, i.e., from Aug. 19, in the year of Rome 781 to Aug. 19, 782, or Aug. 19, A.D. 28 to Aug. 19, A.D. 29. Thus the date given in Luke 3:1 is not merely the only pertinent one furnished in the New Testament, but it is an unequivocal one; it enables us accurately to determine the time when John and Jesus each at 30 years of age began their respective ministry, and so to calculate accurately the date of Jesus' birth. Since our Lord's 30th birthday anniversary and the beginning of His ministry were in October, and since John's birthday anniversary and the beginning of his ministry were just 6 months earlier, it follows that John began his ministry in the Spring, about April, just as soon as he was of age; for God's plans are always carried out on exact time. So, then, John was 30 years old in A.D. 29, about April 1, which is 28 full years from Jan. 1, A.D. 1 to Jan. 1, A.D. 29, and 3 months beyond it to April 1, A.D. 29. If we subtract these 28¼ years A.D. from his age of 30, we find that he was born 1¾ years prior to the point of time that we commonly designate A.D. Thus he was born 1¼ years B.C., or about April 1, B.C. 2. Therefore, Jesus' birth, 6 months later, must have been about Oct. 1, B.C. 2, or 1¼ years prior to the point of time that we commonly designate A.D.
Again, there is clear, strong evidence that Jesus was crucified on Friday, April 3, A.D. 33. The fact that His crucifixion occurred toward the close of the 14th day of the month Nisan, in the Spring of the year, and that this date rarely falls on Friday, but did so in the year A.D. 33, substantiates that date so thoroughly that even Usher, who adopted B.C. 4 as the date of Jesus' birth, was forced to admit that His crucifixion was A.D. 33. This can easily be verified by looking in the margin of King James Version Bibles giving chronology, at Luke 2 and Matt. 2, where Jesus' birth is recorded, and compare Usher's incorrect dates there given with the correct date of A.D. 33 given for Jesus' crucifixion in Matt. 27, Mark 15, Luke 23 and John 19. The correct date of the crucifixion being A.D. 33, it follows that if Jesus had been born B.C. 4, He would have been 36 years old when He died; and His ministry from His 30th to His 36th year would have been 6 years. But it is clear that His ministry was for 3½ years only. And this generally conceded fact is proved by Daniel's prophecy concerning Messiah's being cut off in the middle of the 70th week of Israel's covenant favor (Dan. 9:23-27). Let us examine the prophecy given in Dan. 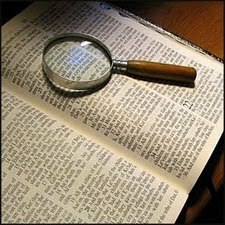 9:23-27, for it is another proof from God's Word of the time of Jesus' death: "Understand the matter, and consider the vision. Seventy weeks are determined upon thy people and upon thy holy city, to finish the transgression, and to make an end of sins, and to make reconciliation for iniquity, and to bring in everlasting righteousness, and to seal up the vision and prophecy, and to anoint the most holy. Know therefore and understand, that from the going forth of the commandment to restore and to build Jerusalem unto the Messiah the Prince shall be seven weeks, and threescore and two weeks [7 and 60 and 2 = 69 weeks]: the street shall be built again, and the wall, even in troublous times. "And after threescore and two weeks shall Messiah be cut off, but not for himself: (and the people of the prince [the army of the Roman prince Titus] that shall come shall destroy the city and the sanctuary; and the end thereof shall be with a flood, and unto the end of the war desolations are determined.) And he [Messiah] shall confirm the covenant with many for one week [the 70th, or last week of the covenant favor]; and in the midst of the week he shall cause the sacrifice and the oblation to cease, and for [or, because of] the overspreading of abominations he [Messiah] shall make it desolate, even until the consummation [the completion], and that [which is] determined [in God's plan] shall be poured upon the desolate [people—represented by Jerusalem]." The Hebrew word chatach, translated "determined" in v. 24, has the primary significance of cut off or divided (comp. Rotherham). Thus the "determined" 70 weeks of covenant favor yet remaining for Israel were cut off or divided from the 2300 days (Dan. 8:14), and began at a given starting point, viz., from the going forth of a commandment or decree "to restore and to build Jerusalem [Mark! not the temple]." During this period great things were to be accomplished: The city would be rebuilt under unfavorable circumstances (Neh. 4:1-23), in troublous times; sin would be finished by a reconciliation made for iniquity; and righteousness (justification) would be established—not like that accomplished typically year by year with the blood of bulls and goats, but the true and everlasting righteousness, brought about by the sacrifice of Christ. Daniel was also informed that He who would introduce the better sacrifice would thereby cause the typical sacrifices to cease. In this period, Messiah, the long-looked-for Savior of Israel, would come, and 7 weeks and 62 weeks, or 69 weeks, are stated as the measure of the time to Messiah's presence. And after that He would be cut off, but not for Himself. There would therefore remain, after Messiah's coming, one week, the last, the 70th of this promised favor; and it was foretold that in the midst or middle of that week He would cause the typical sacrifices to cease, by making His soul an offering for sin (Isa. 53:10-12). These 70 weeks, or 490 days, represented 490 years, each symbolic day representing a year. Being so fulfilled in this, the only time-prophecy directly relating to the First Advent, it furnishes a key to some other prophecies that were similarly hidden in symbolic numbers, a day for a year, until their due time had come for solution. This prophecy was so worded that Daniel and other Jews might, if they chose, think it incredible, and in time forget it; or it might be remembered by those who waited for the consolation of Israel, and who might infer the time to be symbolic, as in the case of Ezekiel (Ezek. 4:6). Certain it is that faithful ones knew to expect Messiah; and it is even written that at the time of His First Advent all men were in expectation of Him (Luke 3:15), even if they were not all able to receive Him in the way He came. It should be noticed that the 69 symbolic weeks, or 483 years, reach unto Messiah the Prince, and not only to the birth of Jesus in Bethlehem. The Hebrew word Messiah, corresponding to the Greek word Christ, means Anointed, and is a title rather than a name. Jesus was not actually the Anointed, the Messiah, the Christ, until after His baptism (compare Acts 10:37, 38 and Matt. 3:16). He was anointed with the Holy Spirit immediately on coming out of the water. This was when He had attained manhood's estate, which was at 30 years according to the Law, under which He was born, which He kept perfectly and to which He and every other Jew was subject until He ended its dominion over those who would believe in Him, by fulfilling its conditions, nailing it to His cross (Col. 2:14; Rom. 7:1-4; 10:4). Therefore the 69 weeks of this prophecy reached to Jesus' baptism and anointing, from which time, and not before, He was the Messiah, the Christ, the Anointed. Hence the 69 weeks, or 483 years, ended in the Fall of A.D. 29, as we shall see. There that portion of the prophecy was fulfilled which says: "From the going forth of the commandment to restore and to build Jerusalem unto the Messiah the Prince shall be seven weeks, and threescore and two weeks [69 weeks in all]." Beginning there we find the 70th week fulfilled like the rest, a year for a day. Some writers on this subject have commenced to count this period from the 7th year of Artaxerxes, when a commission was given Ezra (Ezra 7:6-14), supposed to be the enforcement of the decree of Cyrus (Ezra 1:3; 5:13; 6:1-12). But it should be noted that Cyrus' order was to build the house of God, the temple and its court wall. But there was another decree granted to Nehemiah in the 20th year of Artaxerxes to rebuild the walls of Jerusalem, which at that time were still unrepaired (Neh. 2:3-8; 6:15; 7:1). And it is from this decree "to restore and to build Jerusalem" that this prophecy of Daniel should be dated. The entire account harmonizes with this, there being but one seeming objection, in a prophecy which said of Cyrus, not only, "He shall let go my captives," but also, "He shall build my city" (Isa. 45:13). This apparent objection we answer thus: The word here translated city, is ir, which signifies a walled or enclosed place. We understand the court walls of the temple to be referred to here; and with this the facts above referred to agree. The same word ir is rendered court in 2 Kgs. 20:4. The decree of Cyrus, given in the first year of his reign (Oct. 538-Oct. 537 B.C.—for proofs of this date see The Time is at Hand, Appendix, pp. 368-372), authorized only the rebuilding of the temple (Ezra 1:1-3). And when Ezra, in the 7th year of Artaxerxes, went up to Jerusalem, which was then merely an unwalled, open village, his commission was confined to matters pertaining to the temple (Ezra 7:1-28). From Ezra 4:11-13 (comp. vs. 1-8) we learn that Israel's enemies misrepresented the matter to Artaxerxes, untruthfully stating that an effort was being made to restore the city walls; and Artaxerxes, believing the report, wrote back to his informants: "Give ye now commandment to cause these men to cease, and that this city be not builded, until commandment shall be given from me" (v. 21). Thereupon "they went up in haste to Jerusalem unto the Jews, and made them cease by force and power; then ceased the work of the house of God which is at Jerusalem" (vs. 23, 24)—apparently the work on the walls of the city had not been started yet, hence there is no record of it ceasing; rather the building operations that were forced to cease were those pertaining to the temple. Artaxerxes finally gave the "commandment" to build the walls of the city, but not until in the 20th year of his reign (Neh. 2:1-20); and Nehemiah and his faithful helpers built the city walls "in troublous times," as prophesied in Dan. 9:25 (see, e.g., Neh. 4:1-23). The date on which Artaxerxes' commandment was carried out in the rebuilding of the wall of Jerusalem is about Oct. 455 B.C., or 454¼ years B.C. Since the commandment was issued in Nisan, April (Neh. 2:18), and since the chronology shows that our Lord's anointing occurred in October, the expression, "from the going forth of the commandment" (Dan. 9:25), cannot mean its issuance, but doubtless means its execution. The wall was finished the 25th of Elul, i.e., 5 days before the first day of the 7th month, about Oct. 1 (Neh. 6:15). This was in the 20th year of Artaxerxes (Neh. 2:1). Artaxerxes began to reign in 474 B.C. Proof of this is set forth in The Great Pyramid Passages, by Edgar, Vol. 2, 315-327 (first edition), 295-306 (second edition). Accordingly, Artaxerxes' 20th year, i.e., full 19 years and a fraction, was 455 B.C. Since the 69 (7 and 62) weeks of Dan. 9:25, or 483 years reach unto Messiah the Prince, we deduct the 454¼ years B.C. from the total of 483 years, which gives us 28¾ years A.D. Now 28 full years A.D. bring us to Jan. 1, A.D. 29, and ¾ of a year more bring us to about Oct. 1, A.D. 29 as the correct date for Jesus' baptism and anointing, when He became the Messiah, the Christ, the Anointed. His ministry covered 3½ years, ending with His crucifixion, at the time of the Passover, in the Spring of A.D. 33. In this He exactly fulfilled the prophecy concerning the remaining or last week (7 years) of promised favor, which says: "After threescore and two weeks [the 62 weeks that were to follow the 7 weeks] shall Messiah be cut off [be slain—Douay Version], but not for himself"; "in the midst of the week [remaining, the 70th] he shall cause the sacrifice and the oblation to cease." The sacrifices which were offered according to the Law there ceased; not that animals, incense, etc., were not offered thereafter by the priests, for they continued to be offered year by year, but that they were not accepted by Jehovah, and were in no sense sacrifices for sin. The true sacrifice having come, our Lord Jesus having "put away sin by the sacrifice of himself" (Heb. 9:26), Jehovah could no longer recognize other offerings as sacrifices, nor any necessity for them. There, at the cross, Messiah, who had been sacrificing His human life for 3½ years, finished the work (John 19:30) and thus made an end of sin and provided for the full and complete reconciliation before God for the iniquity of men ("put a propitiatory-covering over iniquity"—Rotherham), thus bringing for all mankind an everlasting justification from sin, instead of the typical yearly justification, accomplished for the typical people, Israel. The death of Messiah was also the seal, the guarantee of the fulfillment, of all the visions and prophecies of coming blessings, and "times of restitution of all things, which God hath spoken by the mouth of all his holy prophets since the world began" (Acts 3:21). Those promises, both the Abrahamic Covenant and the New Covenant, were secured, made sure, with His own precious blood (Luke 22:20; 1 Cor. 11:25), that speaks better things for us than the blood of bulls and goats, even everlasting justification and the putting away of sin, to all those who receive Him. And in the remainder or latter half of this 70th, or last week of Jewish favor, the 3½ years, beginning with Pentecost, His followers, the most holy of that nation, were anointed with the Holy Spirit of God, as Jesus had been at the end of the 69th week. Thus were fulfilled the statements of v. 24 of this prophecy: "Seventy weeks are determined [cut off, divided, set apart] upon thy people, and upon thy holy city,  to finish the transgression, and  to make an end of sins, and  to make reconciliation for iniquity, and  to bring in everlasting righteousness, and  to seal up the vision and prophecy, and  to anoint the most holy. The prophecy did not show that this work would be deferred until the last week, when Messiah would be present; and doubtless many understood it to imply great moral reform on their part (comp. Mal. 4:6) which would prepare them for Messiah, and the anointing under Him of their nation as the most holy people, to bless the world in general. They had not learned by centuries of experience that they were powerless to put away sin and make reconciliation for iniquity, and that it would require a perfect sacrifice to accomplish this great work of blotting out sin and justifying the condemned. On the other hand, Daniel's prophecy, while showing that Messiah would be cut off (die) in the midst of the 70th week, did not show that the mass of his people would be unholy and therefore cast off, as they were, in the midst of that week (Matt. 23:38). The prophet Isaiah had prophesied (Isa. 1:9; 10:20-23; 28:22; comp. Rom. 11:5; 9:27-29) that a remnant would "stay upon the LORD, the Holy One of Israel, in truth," but that "the consumption decreed shall overflow with righteousness"—"He will finish the work, and cut it short in righteousness [justly]." The work of fulfilling the six prophecies of Dan. 9:24 (except the anointing of the most holy) and  the casting off of the unholy house, or nation, was finished in the first half of the 70th week, in the 3½ years of Jesus' ministry. From Matt. 21:1-9 we learn that the words of Zech. 9:12, "Even today do I declare" (comp. vs. 9-11), refer to Jesus' experiences and words on the day when He made His triumphal entry into Jerusalem—Nisan 10, A.D. 33. Two days later (Matt. 23:38, 39) Jesus assures us of two things: (1) that their house (the house of Israel—Ezek. 37:11-14; Acts 2:36) had already entered into its desolation process—"Your house is [has been, not shall be; it was already an accomplished fact] left unto you desolate"; and (2) that they nationally were blinded and would remain blinded until sometime during His Second Advent (Zech. 12:9, 10; Rev. 1:7)—"Ye shall not see me henceforth, till ye shall say, Blessed is he that cometh in the name of the Lord [Jehovah]." Let us notice how Israel was made desolate that day, Nisan 10, A.D. 33: Their house was made desolate that day in the following particulars: (1) as a nation they lost God's favor that day (Zech. 9:12; Jer. 16:13, 17, 18; Gal. 4:30); (2) mouthpieceship was taken away from them nationally on that day; (3) their priesthood and sacrifices were that day made inefficacious (Dan. 9:27); (4) the promises of the Law were no more theirs nationally, only its wrath was thenceforth theirs nationally (1 Thes. 2:15, 16 — "is [has] come," not shall come); (5) on that day punishments began to be meted out to them: the cleansing of the temple, the public denunciation of their leaders, etc. ; (6) on that day national insight into advancing Truth was taken from them (Luke 19:42, 44; Matt. 23:39; Rom. 11:25); and (7) thenceforth nationally the Lord had only rebukes, rebuffs and punishments for them, and no longer shielded them from wrong and evil, because of their increasing waywardness after they were bereft of His favor. But what of the remainder of the 70th week, the 3½ years of it which extended beyond the cross? Did Jehovah promise to set aside 70 weeks of covenant favor upon Israel, and really give them but 69½? At first glance it has this appearance, especially when we recall that it was just 5 days before His death in the midst of the 70th week that Jesus wept over their city and gave them up, saying, "Your house is left unto you desolate." But not so: Jehovah knew the end from the beginning; and when He promised 70 weeks, He meant it. Hence we must look for covenant favor upon that people for 3½ years after the crucifixion, notwithstanding the fact that they were then left desolate nationally. That the Israelites as a nation were not fit to be the recipients of the chief or spiritual favor (nor of the earthly favor either) was demonstrated by their rejection of Messiah, as God had foreseen and foretold; hence it was profitless to them to continue their national testing beyond the midst of their 70th week, and it was cut short there, when they were left desolate, rejected from favor. During the remaining portion (3½ years) of their period, the favor was increased, though confined to the "remnant," "the most holy," the purest or fittest, whom alone it could benefit (Isa. 10:20-23; Rom. 9:28). The increase of favor consisted in the fact that it gave to that remnant 3½ years of exclusive attention and ministration, under the increased advantages of the Spirit dispensation, beginning with the disciples at Pentecost. See Acts 2:41 and 4:4 for the results of the first few days. It was for this reason that, though Jesus had tasted death for all (Heb. 2:9; 1 Tim. 2:6), and the Gospel was to be proclaimed to all, yet His instructions to His disciples were, that they begin at Jerusalem (Luke 24:47). Nor were they to offer the favor of the new dispensation to any others, until the 3½ years of promised covenant favor to Israel were fulfilled, until God specially sent it to the Gentiles as well as to the Jews (Acts 10:1-48). The exact date of the conversion of Cornelius, chronologers can only guess at; and hence it is variously estimated as having occurred from 37 to 40 A.D.: but in view of this marked prophecy that we are now considering, we doubt not that it was in the Fall of 36 A.D.; for there the 70 weeks, or 490 years, of covenant favor upon Israel ended. Since their exclusive favor ended there, most appropriately should it be marked by sending the Gospel to the Gentiles. Israelites were not deprived of the Gospel after that, but were treated the same as the Gentiles, though prejudice no doubt placed the remainder, generally speaking, in a less favorable position. The Gospel was no longer confined to them exclusively, but was open to every creature having an ear to hear. After the 70 weeks came the distress and trouble mentioned in the latter clauses of Dan. 9:26, 27. The Roman prince came, and did destroy the city and the temple, and, like a flood, he left behind him terrible waste and destruction. And Messiah, whom they rejected, has permitted various evils to befall them since, and that which was determined has indeed been poured upon that desolate one, the cast-off people. However, as we have shown, e.g., in our Jewish Hopes and Prospects booklet and in our Oct. '54 and Sept. '73 issues, the "double" of Israel's disfavor has ended, and it is now the time for the return of God's favor to them (Isa. 40:1, 2; Jer. 16:18; Zech. 9:12). The day of their deliverance is now dawning, thank God; and though they will still experience distress, especially in Jacob's Trouble (Phase II), each hour hastens the time when that trouble will be over, and all blindness and prejudice will be fully turned away from them (Rom. 11:26) and their minds shall see out of obscurity Him whom they have pierced. Then they shall mourn for Him as one mourns for his only son (Zech. 12:10), and then they shall indeed say, "Blessed is he that cometh in the name of the Lord"! As seen above, the Scriptures, in harmony with known secular dates, show that Jesus died in the Spring of A.D. 33, in the midst of the 70th week—3½ years after the Fall of A.D. 29. He is the antitype of the Passover lamb (Ex. 12:6; 1 Cor. 5:7) and therefore was slain on Nisan 14. According to accurate astronomical computation the date for Nisan 14 in A.D. 33 was Friday, April 3, starting at 6 p.m. of April 2. That Jesus died on a Friday (April 3, A.D. 33), and not on some other day of the week, is proven also by the fact that he died on "the preparation," which term in the New Testament (Greek, paraskeue) and in contemporary language and literature was commonly applied to the 6th day of the week (corresponding to our Friday—though it was from 6 p.m. Thurs. to 6 p.m. Fri.), because on that day preparation was made and meals provided for the 7th day, the Sabbath or rest day (corresponding to our Saturday—though it was from 6 p.m. Fri. to 6 p.m. Sat.). Thus Jesus and His Apostles ate the Passover lamb, and Jesus instituted the Memorial of His death, on Nisan 14 (Thursday evening—"the same night in which he was betrayed"—1 Cor. 11:23); and He, the antitypical Passover Lamb, was crucified and died later on, during the day part of this same Nisan 14, namely, on what we call Friday; but, coming before the Sabbath set in at 6 p.m., it was still on the sixth day of the week—"the preparation." That the term, "the preparation," in the New Testament is used for the 6th day of the week (Fri.) is evident. Thus Matthew, after describing the death and burial of Jesus, indicates that it was on "the day of the preparation" (Matt. 27:62). Mark (Mk. 15:42) locates it as on "the preparation, that is, the day before the sabbath." Luke (Lk. 23:54) says that "that day was the preparation, and the sabbath drew on"—the Sabbath set in on Friday at 6 p.m. John also shows (Jn. 19:42) that Jesus was buried late on "the Jews' preparation day" (Fri., before 6 p.m.). In addition to being commonly used as a designation for the 6th day of the week, the term, "the preparation," was applied to the day preceding any of the sacred festivals, especially the Passover Feast (John 18:28), which started on Nisan 15 (just as Nisan 14 ended at 6 p.m.) and lasted for a week, its first and seventh days being great days or sabbaths—rest days (Ex. 12:16; Lev. 23:5-8; Num. 28:16-18, 25). John explains further (Jn. 19:14) that the preparation day on which Jesus died was "the preparation of the passover," i.e., it was the day preceding both the weekly Sabbath and a sabbath of the Passover Feast, viz., Nisan 15, the first great day or sabbath of the seven days' Passover celebration. Thus the Paschal Sabbath on this occasion coincided with the weekly Sabbath, so that the day was "a great day" in itself; and by the concurrence of two "sabbaths" we have two sabbaths in the one day, "a double sabbath." In John 19:31, the Apostle makes it quite clear that in the week of our Lord's death the weekly Sabbath and the Paschal Sabbath both fell on the same day—"for that sabbath day was an high day," or, "the day of that Sabbath was a great one" (Diaglott). We learn the meaning of a great day also from John 7:37: "In the last day, that great day of the feast [of Tabernacles—v. 2]." On the first and last days of the week of feasting, both in the Feast of the Passover and the Feast of Tabernacles, there was "an holy convocation," a "calling of assemblies" (Ex. 12:16; Lev. 23:6, 7, 34-39). In Isa. 1:13 we read of the "calling of assemblies," the Hebrew words for which are in the Septuagint translation rendered by the same Greek words that are used in John 7:37 and 19:31 for "great day" and "high day." A great day thus appears to be equivalent to a day of holy convocation, such as were the first and last days of the feasts of the Passover and of Tabernacles. Thus the day of that weekly Sabbath was also a great one, the first sabbath of the Passover Feast. The fact that the women are said to have rested "according to the commandment" (Luke 23:56) on the day following Jesus' death is further evidence that He died on the 6th day of the week (Fri.), the day before the weekly Sabbath. If this Sabbath were not the 7th day, but merely the Nisan 15th rest day on another day of the week, the expression, "according to the commandment," would not have been appropriate; for this term is used with reference to one of the ten commandments, while the word ordinance would have been used, had the rest day of Nisan 15 apart from the weekly Sabbath (Sat.) been meant. The above evidences prove conclusively that Jesus died on a Friday, i.e., April 3, 33 A.D., and not on some other day of the week. Additional pertinent evidence will be presented, however, while showing that Jesus arose on Sunday. Jesus rose from the dead the first day of the week, Nisan 16, which, according to God's viewpoint began at 6 p.m., just as Nisan 15, the Sabbath, ended. The following points will prove this to be correct: The women bought the spices with which to anoint Jesus' body after the Sabbath had fully ended, after 6 p.m. (Mark 16:1), and not on the Sabbath, which would have made them violate the commandment; for they kept it (Luke 23:56). They went to the sepulcher very early in the morning of the first day of the week, Sunday, arriving there as the sun was rising, to anoint Jesus' body (Mark 16:2; Luke 24:1; John 20:1). With these three passages Matt. 28:1 is in harmony, when rightly translated. The following is the correct literal translation of the Greek of this passage: After the Sabbath, while it was dawning [or growing markedly light] for the first day of the week. The Greek word epiphoskouse, translated in the A.V., "as it began to dawn," means growing markedly light; for it is a compound verb whose simple form phoskouse, growing light, is intensified by the addition of the preposition epi; it means to grow markedly light, that growing light which marks an advanced stage of the change of night to day. It should further be said that the Greek adverb opse, of Matt. 28:1, translated in the A.V., "in the end," means late, in the sense of: (1) at eve (Mark 11:11, 19; 13:35); (2) after (Matt. 28:1). The word occurs in the New Testament but four times, all of which occurrences are here cited. Harmony between Matt. 28:1 and the parallel passages, Mark 16:2; Luke 24:1; John 20:1, proves that not the first, but the second meaning must be applied here, else we would have a contradiction between it and its three parallel passages; moreover, the meaning after is required here by the meaning of the verb to dawn, to grow markedly light, such as occurs at an advanced stage of the change from night to day. A comparison of Matt. 28:1, 2-4 and parallel passages shows that Jesus' resurrection occurred after the women very early Sunday morning ("when it was yet dark—John 20:1) started out for the sepulcher, and before they reached it, to which sepulcher they came just at sunrise, Sunday morning (Mark 16:2). That the resurrection of Jesus occurred in connection with the appearance of the angel and rolling away of the stone from the sepulcher is evident from the pur­pose of the acts themselves and from the fact that the soldiers reported their seeing Jesus' resurrection during this occurrence (Matt. 28:11-15); for the whole account of Matt. 28:2-4, 11-15, shows that they regarded all of the events that they saw and reported as the accompaniments of Jesus' resurrection. Again, the Scriptures teach that our Lord was to arise from the dead the third day of His death (Matt. 16:21; 17:23; 20:19; Luke 24:7, 21, 46; Acts 10:40; 1 Cor. 15:3, 4). Please note that these verses do not say that He would be in the grave three full days and three full nights, as some misapply Matt. 12:40 to mean; rather, they indicate that on His third death day He would arise from the dead. The first of these death days was Friday, the day that He died; for He was dead several of the hours of that day before it ended at 6 p.m. His second death day, the Sabbath, from the nature of the case, had to be a full 24-hour period, which ended at 6 p.m. of His second death day; and His third death day, Sunday, beginning at His sec­ond death day's 6 p.m., ended at the next 6 p.m. Hence any time between these two 6 p.m.'s would be the third day. It will be noted that St. Paul (1 Cor. 15:4) tells us that Jesus rose the third day according to the Scrip­tures. There is no literal Old Testament passage that says this; but it is shown in several Scriptural types, notably the Passover type, in its relation to the slaying of the Passover lamb on Nisan 14 and the type of waving the first ripe of the firstfruits before Jehovah by the high priest, Nisan 16 (Lev. 23:10, 11). The Passover lamb types our Lord (1 Cor. 5:7, 8), as also does the first ripe of the firstfruits (1 Cor. 15:20; Col. 1:18). In institutional types, such as the slaying of the lamb Nisan 14 and the waving of the firstfruits Nisan 16 before Jehovah by the high priest, the antitype when due must set in on the day that the type was to be repeated. Hence Jesus had to die on Nisan 14 as the antitype of the slaying of the Passover lamb. Jesus as High Priest is the antitype of the typical high priest, as St. Paul shows us in Heb. 3:1; 4:14—8:6; 9:6-14, 24-28, as He is also the antitype of the first ripe of the firstfruits of Nisan 16. Its waving before Jehovah Nisan 16 by the high priest types our Lord on Nisan 16 presenting Himself as the first ripe of the firstfruits before God for a continued service of God in His resurrected condition, "the firstfruit [Greek, singular] of them that slept" (1 Cor. 15:20). Since our Lord's resurrection was on His third death day and He died Nisan 14, His resurrection was Nisan 16, His third death day, and is typed by the waving of the first ripe sheaf before God by the high priest. Having arisen from the dead on Sunday, Nisan 16, His death must have occurred Friday afternoon, Nisan 14. This type demonstrates that the time of Jesus' resur­rection was to be on His third death day, which was Sunday, and hence His death day, as the antitypical Passover, was and had to be Friday, Nisan 14. (1) Both among Hebrews and other peoples, in­cluding also the English-speaking peoples, the expres­sion need not mean a 72-hour period, but may also mean a shorter period, just so three different days and three different nights are touched by a period that could be any time between 48 and 72 hours, e.g., the period from Jesus' arrest about midnight of Thurs­day, which, as God reckons it, was about 6 hours after Friday began, until Sunday morning, can be called three days and three nights, because that period of about 54 hours touched on three nights and on three days, the three nights being Thursday, Friday and Saturday nights, and the three days being Friday, Saturday and Sunday daytimes. The Hebrews would call three days any period touching on three days, even if the period were but 39 hours. Hence we find that the period of Jesus' being in the death state (see passages above on His rising on the third day), i.e., from Friday about 3 p.m. to Sunday about 6 a.m., as we have proven above, is covered by the expression, "after three days" (Matt. 27:63; Mark 8:31), the reason being that they spoke of any part of the first and of the last days as though they were full days. Hence we see that in John 20:26 "eight days" are put for a week. This principle enables us to harmonize Luke's Hebraistic expression, "about eight days" (Luke 9:28), with Mark's Hellenistic expression, "six days" (Mark 9:2). Please compare the analogous expression, three years, with the expression, 7th and 9th years, of Hoshea and the 4th and 6th years of Hezekiah (2 Kings 18:9, 10), which clearly illustrates this Hebrew way of counting units of time. Our Lord doubtless used the expression, "three days and three nights," because He was quoting from Jonah 1:17, where the same expression occurs. The Hebrew expression, "for three days and three nights," in Jonah 1:17 is the same as that in 1 Sam. 30:12; and v. 13 shows that it is merely a general expression for a period that touches on three days and three nights, and not nec­essarily an exact period of 72 hours. These considera­tions disprove the idea that the expression that Jesus used in Matt. 12:40 must mean 72 hours, or three full days and nights. But there is something radically wrong with the interpretation of Matt. 12:40 which applies it exclu­sively to Jesus' stay in the tomb; for that interpretation implies the falsehood that Jesus' body was in the center of the earth. Please note as to this view, first of all, the proper explanation of the expression, "in the heart of the earth," cannot be literal; for its literal interpreta­tion, according to the thought under review, would make Jesus' body to have lain in the center of the earth; for if the literal earth were meant here, the heart of the earth would mean the center of the earth; whereas Jesus' body was not buried in the center of the earth, nor under the soil at all, but in a rock-hewn sepulcher above the soil, whose door had a rock placed in front of it, not on top of it, from which it was rolled away (Matt. 28:2; Mark 16:3, 4; Luke 24:2); and please note that it was not lifted up, as from lying upon a grave. Moreover, the disciples walked into the sepul­cher (Mark 16:5; Luke 24:3; John 20:6-8), and did not go down into a grave, which proves that the sepulcher was above the surface of the ground. Hence the word earth here does not mean the literal earth. (3) Since this is the case, we are therefore warranted in considering that Jesus by the word earth here meant society, its regular figurative meaning in the Bible, even as He shows that we are not literal salt to nourish, season and preserve the literal earth, but as a symbolic salt are to nourish, season and preserve human society (Matt. 5:13). Cain was not driven out of the literal earth, but from human society, as it was represented in Adam and his family (Gen. 4:14). So, too, the literal earth did not speak the one language current before Babel; but human society at that time spoke but one language (Gen. 11:1). Nor did the flood destroy the literal earth, but society as then constituted (Gen. 6:11; 2 Pet. 3:6). These are but a few illustrations from among many proving that the word earth, as used symbolically in the Scriptures, means society. And, as said above, to interpret the word earth literally in Matt. 12:40 would make the passage tell an untruth, i.e., that Jesus' body was buried in the center of the earth, whereas it was buried above earth's surface in a rock-hewn sepulcher. Hence the word earth in this passage evidently means society. (4) Accordingly, we understand the expression earth here to mean Jewish society, which in its leaders and ledlings wreaked its desire (heart) upon Jesus. (5) Finally, this wreaking of its desire upon Him began in His arrest Thursday night. He then entered the heart of the earth—became subject to the ill will of Jewish society—and remained therein until His resurrection Sunday morning. Thus He was during parts of three days—Friday, Saturday and Sunday—and parts of three nights—Thursday, Friday and Saturday nights—in the heart of the earth—subject to the power of His enemies. So viewed this passage refers to a longer period than Jesus' stay in the tomb; it refers to the time from His capture in the garden until His resurrection, and means that for a period touching on three days and three nights the enemies of Jesus, as representatives of Jewish society, would triumph over Him, accomplishing upon Him their wishes, and that He would be subject to these wishes for that period of time. Accordingly, this passage does not refer exclusively to the time during which Jesus was in the tomb, but while including that time, it covers a much longer period—the whole period during which He was subject to His enemies' malice and violence. Corroborative of this explanation is the fact that Jesus' resurrection was not the only part of the sign given that generation, but also Jesus in His sufferings from the time of His arrest until His death, as well as His lying dead in the tomb until His resurrection; for during that whole period Jesus was where Jewish society desired (heart) Him to be; for it is not the resurrection that is specially stressed in Matt. 12:40, but what occurred to Him from the time of His arrest up to the time of His resurrection. Thus from a variety of standpoints we have proved that Jesus died Friday afternoon, April 3, A.D. 33, and arose from the dead Sunday morning, April 5 of that year, and have disproved the thoughts that He died on a Wednesday of that or any other year and lay in the sepulcher 72 hours and arose Saturday. Let us all seek to appreciate more and more the great facts that "Christ both died, and rose, and revived, that he might be Lord both of the dead and living" (Rom. 14:9). If any have not yet made Him their own Savior and Lord, let them do so; and let those who have done so seek to do so more fully!